Squirrels were once the friends of Man then Anmeow, the first cat chased them off to the Other World. There, they came under the protection of Mother Nature and founded the kingdom of Nuttopia in the Tree of Life. The Fairies taught them magic and they prospered. This was not to last and disaster struck, a nut blight. From the tribes of the Squirrel Kin, the Squirrelferatu, the Squirrelcanthrope, the Red, Grey and Flying, a team is assembled to raid the Mortal World for the nuts they so desperately need. Thus Operation: Get Mr. Jones' Nuts is conceived! Squirrel Attack! 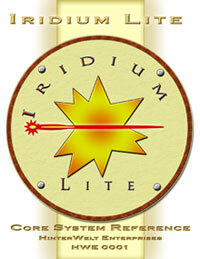 is 64 pages, color interior, six maps, background on Nuttopia and uses our Iridium Lite system. This book is formatted for statement size pages (5.5 in wide x 8.5 in tall) but is able to be printed in letter size paper. 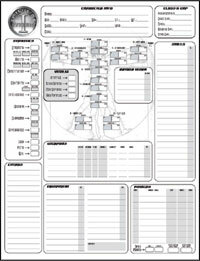 The system is included as a simple 12 page write up in the back of the book. Included in Squirrel Attack! are six pre-genned characters with predefined goals. The characters receive points for accomplishing these goals allowing a winner to be determined by the end of the night. This game is meant to be played in four hours but has great replay value. Visit the Squirrel Attack! website for more information.